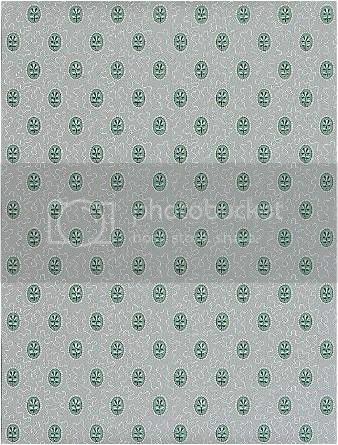 Wallpaper can be traced back to China at around 200 B.C. when the Chinese glued rice paper onto their walls for decoration and insulation. From China to Arabia, in the 8th Century, wallpaper was developing but it really came into its own in the 18th Century and onwards - by Françoise Murat. When I was growing up and we visited family in France I was always fascinated with the fact that they had some of the bedrooms completely covered in wallpaper, ceiling, walls and even window surrounds! Usually in tiny flower motifs or in lighter but still very busy Toile de Jouy. I found it hideous, even at a young age! In Switzerland, wallpaper is seldom used in interiors, usually painted walls or a variety of textured materials are used. When I came to England many years ago, I discovered that wallpaper was not the abomination I had thought it to be! Part of a long and colourful decorating tradition, wallpapers here were used sparingly, when required in a historic context or as an architectural feature in a room. I became hooked – to the point where I often collect wallpaper and frame it. Wallpaper can be traced back to China at around 200 B.C. when the Chinese glued rice paper onto their walls for decoration and insulation. From China to Arabia, in the 8th Century, wallpaper was developing but it really came into its own in the 18th Century and onwards. Below is an example of ‘Royal Crescent’ - c. 1775, a Robert Adam design, found behind an inserted Victorian staircase in the Royal Crescent, Bath. Courtesy of Robert Weston, Hamilton Weston Wallpapers Ltd. In Victorian times wallpaper was extremely popular- factory-printed papers provided a simple way of covering up plain walls with floral designs, geometric patterns, oriental themes, scenic landscapes or even animals. Printed borders were plentiful and copied from architectural mouldings such as Greek motifs or egg and dart designs. Below is an example of ‘Archway House’, c. 1790-1800, found inside a low cupboard in Clapham old town, London. Used in Mr. Collin’s house in the film Pride & Prejudice with the actress Keira Knightley. Courtesy of Robert Weston, Hamilton Weston Wallpapers Ltd. The development of department stores throughout the UK at that time helped in disseminating home decoration and mail order firms were plentiful. All one had to do was pick the designs from heavy and thick catalogues and order. Early wallpapers are often discovered under later alterations like skirting boards, picture rails, door & window architraving or even inserted walls. Robert Weston of Hamilton Weston Wallpapers Ltd has found a number of pieces behind gas or electric meters, inside shutter boxes, or painted over inside cupboards.He says “Quite often they can be found undetectedin Georgian buildings in multiple layers (often over 20+) with the top layers paintedlooking muchlike hardboard. When panelling went out of fashion (end 18th C.), they people wouldremove projecting dado rails etc. then naillinenover panelled walls or partitions to create aflushfoundation to add layer on layer of paper- never stripping back before redecorating until the 20th-21st centuries!”. Below ‘Richmond Trellis’, c. 1840. Found in a skip in Richmond, Surrey with a London Times newspaper as lining paper. Courtesy of Robert Weston, Hamilton Weston Wallpapers Ltd.
Today wallpapers come in myriad of designs, colours, patterns, machine-made or the more expensive block or hand printed variety. Borders and friezes in differing scales can also be ordered. Great at covering up all manner of uneven, flawed and pitted walls, wallpapers are the greatest cover-up a wall can wear! ‘I created the calculator’s on www.propertydecorating.co.uk as a resource for people to use. I have used online wallpaper calculators before and found them very long-winded or complicated to use, this is why I decided to create my own. The calculator is an online tool aimed at anyone wanting to work out how many rolls of wallpaper needed to paper any given area, DIY’ers and tradesmen alike, including myself! The wallpaper calculator is quick, simple and hassle free to use, simply enter the height of the room or feature wall, then the circumference of a room (including windows and doors) or the width of a feature wall hit calculate and the calculator works it all out for you simple! The calculator also includes a feet to metre converter as I know many people still use feet and inches. So if your walls are really uneven, what to do? Lining paper is always a good choice, it smoothes the flaws out and if using a heavier grade, it will cover up the biggest problems. Hung horizontally and precisely this is a must do for bad walls. Vinyl wallpapers are waterproof and tough. They can be scrubbed with medium pressure and washed. Good for bathrooms, kitchens and kid’s rooms but also useful for high usage areas like hallways. Remember though, these must be applied with fungicidal adhesive, or mould can develop underneath. Below ‘The Summer Garden’ by Camilla Meijer. New collection 2010. Textured papers are usually embossed or en relief and these can be painted too. But these days we have gone much further than the old Anaglypta and Lincrusta or even flock wallpaper! These days, wallpapers can be made using, hessian, or other natural fibres, silk, linen, foils and even metals. They do need a paper backing and can be hung like normal wallpaper – so no need to batten the room or upholster the panels. Before you get to the shops and choose your wallpaper – a few things to think about. What effect do you want for your room? Does it work with your window treatment? Does it complement your existing soft furnishings or does it clash? Look at the repeat in the design (on the rolls) so that you don’t end up with cut off patterns. Finally do get a sample, a long one or at least the biggest one with the repeat pattern showing. Hang it on the wall and live with it for a few days, this can be an expensive decorative feature, so you want to make sure you have the right look, feel and design. Below ‘Victoria’ by Camilla Meijer. New collection 2010. ‘Japantastic’ at MODA Middlesex – Museum of Domestic Design & Architecture celebrates 150 years of friendship with Japan showing Arthur Silver’s stunning collection of textiles and wallpapers adapting Japanese motifs for the home market. www.moda.mdx.ac.uk until August 1, 2010. ‘Very Sanderson – 150 years of English Decoration’ at the Fashion and Textile Museum, London, www.ftmlondon.org, until June 13th, 2010.
http://wallpaperhistorysociety.org.uk/ promotes awareness and understanding of historic wallpapers as well as contemporary wall coverings. http://hamiltonweston.com/ Robert Weston, an architectural historian specialises in historic wallpapers. From Georgian to Victorian and Edwardian interiors, the wallpapers in Robert Weston’s collection span 25 years of collecting fragments of original wallpapers. 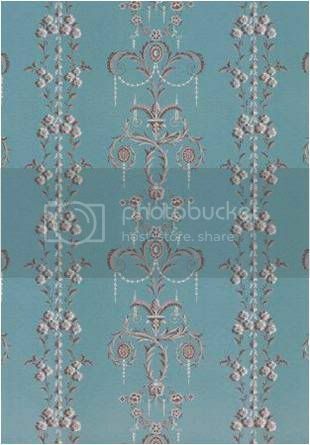 These traditional designs are recreated form original period wallpapers. 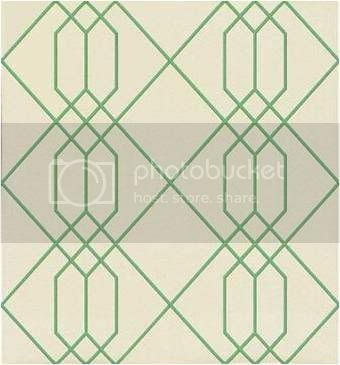 http://www.paperboywallpaper.co.uk/ clean and contemporary wallpapers for boys of any age! Showing at the top of the article. http://www.camillameijer.com/ contemporary wallpaper designed by Camilla Meijer. Inspired from nature the designs are dynamic and vibrant.